Almost all Drivers know that large trucks can be extremely dangerous for other drivers on the road. Accidents involving trucks are some of the worst we see in our practice – with disastrous consequences for victims and their families. 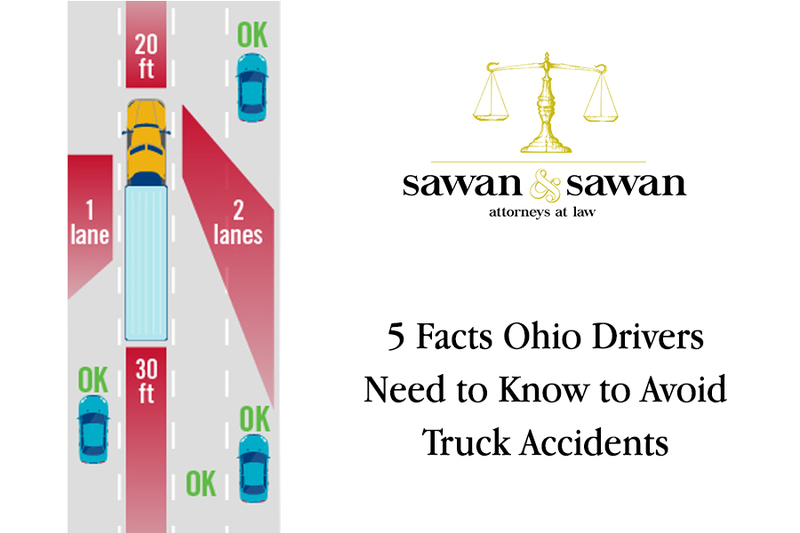 While many recognize these facts, here are some lesser known facts to keep you and your loved ones safe from truck accidents on the road. After a Truck Accident, it’s common to accuse a truck driver of reckless driver, driving while fatigued or otherwise impaired, speed, driving aggressively or other unsafe behavior. Many times, the truck driver is to blame. However, passenger vehicle drivers also have a duty to drive safely around trucks, including being aware of following proximity and blind spots or Trucks. The stopping time and distance for a truck or bus are much greater than those of smaller vehicles. Stopping distance increases even more when a commercial vehicle has a heavy load or there are road conditions like snow, ice, or rain. A fully loaded truck traveling under good conditions at highway speeds requires a distance of almost two football fields to stop. A car should never suddenly cut in front of a truck as it reduces the truck’s allowable safe stopping distance. This means that, for other drivers on the road, it is vital to make sure that you always give trucks plenty of following room whenever you are passing or changing lanes in front of them. If you find yourself needing to stop suddenly, the truck driver behind you may not have enough time or space to do so without rear-ending you. Also remember that trucks have a number of blind spots, including immediately in front of them. If you can’t see the truck driver in his or her side mirrors, the truck driver can’t see you. A commercial driver has limited visibility on all four sides because of large blind spots around the front, back, and sides of the vehicle. Other drivers and road users should strive to stay out of these “No Zones”.Limited visibility calls for extra caution in passing and being passed by large trucks and buses.Other vehicles and road users should be particularly careful to stay out of the blind spots when a truck is turning, backing up, or changing lanes. Since Truckers drive interstate, special Federal regulations establish certain rules that all truckers must follow. Among these laws includes bans on using mobile devices while traveling – including texting. Drivers must also abide by hours-of-service rules that limit the time they can spend behind the wheel before taking a break. These rules also limit the amount of hours a trucker can drive in any given week. As with many types of companies, a trucking company is liable for it’s employees actions. This includes when a truck driver causes a car accident and hurts someone. 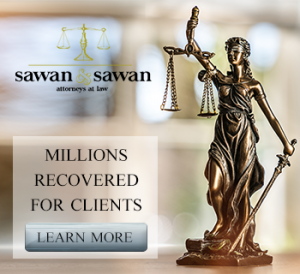 As such, passenger car drivers injured in accidents with large trucks may file a claim or lawsuit against a trucking company to recover economic damages, medical bills and pain and suffering.